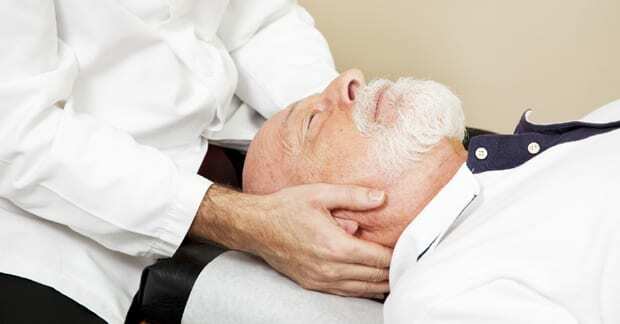 It has been reported that 45 million Americans suffer from headaches, many on a daily basis. Though some just put up with the pain, others become totally disabled during a headache episode. Most people initially turn to an over-the-counter (OTC) drug such as a non-steroidal anti-inflammatory drug (NSAID) of which there are 3 types: 1) salicylates, such as aspirin; 2) traditional NSAIDs, such as Advil (ibuprofen), Aleve (naproxen); and, 3) COX-2 selective inhibitors, such as Celebrex. According to the medical review board of About.com, complications of NSAID drugs include stomach irritation (gastritis, ulcer), bleeding tendencies, kidney failure, and liver dysfunction. Some NSAIDs (particularly indomethacin) can interfere with other medications used to control high blood pressure and cardiac failure and long-term use of NSAIDs may actually hasten joint cartilage loss, leading to premature arthritis. Another OTC commonly used drug is Tylenol (Acetaminophen) in which liver toxicity can be a potential side effect (particularly with long-term use). Others may turn to prescription medication for hopeful pain relief. One of the more frequently prescribed medications for headaches is amitriptyline (commonly known as Elavil, Endep, or Amitrol). This is actually an antidepressant but was found to work quite well for some headache sufferers. The potential side effects include blurred vision, change in sexual desire or ability, constipation or diarrhea, dizziness, drowsiness, dry mouth, headache (ironically), appetite loss, nausea, tiredness, trouble sleeping, tremors, and weakness. Allergic reactions such as rash, hives, itching, difficulty breathing, tightness in the chest, swelling of the mouth, face, lips or tongue, chest pain, rapid and/or irregular heart rate, confusion, delusions, suicidal thoughts or actions, AND MORE are reported. The pros and cons of chiropractic include a report on children under 3 years of age, where only one reaction for every 749 adjustments (manipulations) occurred (it was crying, NO serious side effects were reported). In adults, transient soreness may occur. Though stroke has been reported as a cause of headache, it was concluded that stroke “…is a very rare event…”, and that, “…we found no evidence of excess risk of VBA stroke associated chiropractic care compared to primary care.” Another convincing study reported that chiropractic was 57% more effective than drug therapy in reducing headache and migraine pain! They concluded – chiropractic first, drugs second, and surgery last.